There are 37 reviews of Lys Méditerranée. Wonderful aquatic/marine scent and one of my favorite Malle perfumes. I'm no fan of lily scents, but this one won me over by miles. Lys Mediterranee is also quite a 'clean' scent and one has to work hard to find something offensive in this perfume and can easily be worn by both men and women. Sadly the longevity of Lys Mediterranee is a slight disappointment and only lasts about 4 hours at most on me, which is the only reason I haven't sprung for a full bottle. A perfectly nice perfume, probably most notable for what it isn't than what it is. With the 90's marine perfume fad leading into the 00's aquatic fad, it became quite popular to try to make "aquatic florals" by mixing lily chemicals with cucumber and salt. There are a lot of those out there, and they're starting to smell pretty dated. 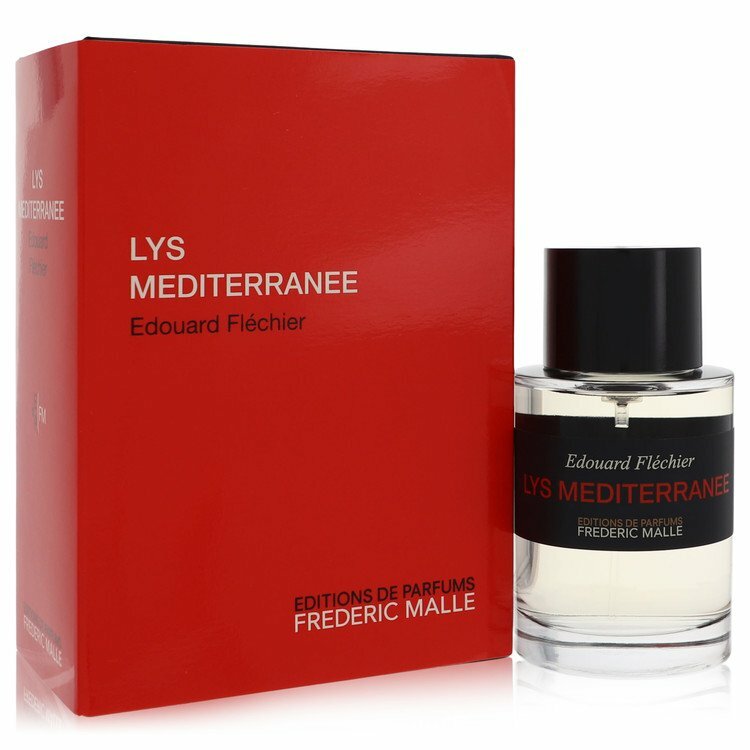 Thankfully, Frederic Malle went for the long game with Lys Méditerranée, opting for a timeless white flowers accord and a pinch of powdery musk as the backbone of this, his lily perfume. It's quite nice, with a hint of orange blossom for richness, though the powder can get a little sneezy when over-applied. All told, Lys Méditerranée deserves a thumbs up, though I think there are more interesting lilies out there (Guerlain's beautiful but prohibitively expensive yearly Muguet perfumes spring to mind, as well as Cartier's interesting lily/chocolate Basier Vole). One for the floral fanatics. The first floral hit is a lily in full bloom. Touches tiger lily, not sweet initially, very nice. After this first hour or so, I get more of a sweeter note that is quite characteristic of muguet, and for quite a while the muguet really defines this composition. Later in the drydown, orange blossom is added as well as whiffs of citrus and nigh-ozonic undertones, but for most of the time the muguet rules. The base combines nonspecific woodsy hints with white musks and a very restrained tonka - but the muguet stills shines through on my skin until the very end. The sillage is moderate, the projection very good, and the longevity amounts to ten hours, albeit very close to my skin for the last hour. This spring scent, unashamedly a floral fest, is well-executed and composed of ingredients that are of a very good quality overall. At times the standard drops and inferior synthetics are evident, but that is only for smaller parts of the development of this product. 3.5/5. The blending of lily and vanilla (vanilly!) makes me question whether or not there is actually honeysuckle in this scent. Either way Lys Mediterranee is as soft as buttered silk and milky-pleasant top to bottom. Like a quieter yet more regal version of Deep Night. Excellent stuff. Lys Mediterranee is a strong floral. I admire it for opening so loud and strong, and for smelling like lilies as advertised, but the overall mix is just a little off to my liking for a perfume to wear, just a bit sour, in a way that may be the best representation of natural lilies, but takes it beyond what I prefer to wear. Hedging, somewhat, I'll say it develops well on skin, and presents a symphony of floral goodness at a distance; and I'm somewhat torn between neutral and thumbs up. When I draw the source up close, it shifts into neutral. There are no member images of Lys Méditerranée yet. Why not be the first?